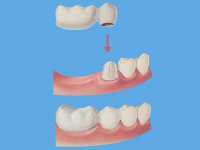 How Does Dental Bridge Work? A dental bridge is a type of false tooth that is placed between two crowns that are made of porcelain that replaces a tooth or teeth that are missing and must be replaced. 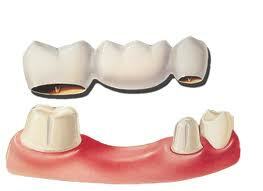 A fixed dental bridge is attached on either side of the false tooth or teeth. This type of procedure is permanent as opposed to dentures, which can be removed. 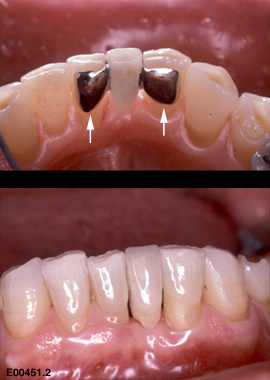 In this kind of bridging, a false tooth is anchored in the mouth with two crowns that are attached to the two natural teeth on either side of the space here the dental bridge will go. The surrounding natural teeth usually have to be sculpted and reduced in size a bit to make room for the dental crown and dental bridge. The two crowns and the false teeth are bonded together into one unit, and the combination is then affixed in the patient’s mouth. Fixed Dental Bridges work well with people who have fillings because existing fillings can actually be used as foundation for the crowns that are placed on the patient’s natural teeth. This kind of dental bridge is usually less expensive than a fixed dental bridge, but unfortunately, it is not for everybody. A bonded bridge is usually offered only to a patient who has healthy, well maintained teeth surrounding the area where it is to be inserted. People with weak, unhealthy teeth or those whose surrounding teeth which have large fillings in them are generally not candidates for bonded bridges. This is like a bonded bridge, a cantilever bridge is typically used on the front teeth and in areas that are not stressed when a person is chewing. 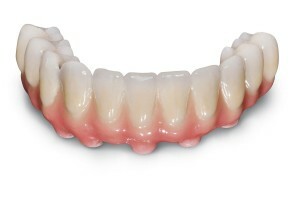 This type of bridge is usually used when a person has a natural tooth on only one side of the space where the bridge will sit, instead of on both sides. Cantilever bridges are designed to adhere on just one side to the natural tooth/ teeth to the left or to the right of where the false tooth will sit. For more information please feel free to Contact Brighton Implant Clinic or Call us on 0800 111 6623 . Schedule a free, no obligation consultation online today. The Brighton Implant Clinic is an award winning dental health clinic, renowned for their cosmetic restorations and achievements in dental implant cases.